Window Grid Diversity Antenna, Wheels: 17 x 7.5 7-Spoke Unique Off-Road Alloy -inc: black painted accents, Variable Intermittent Wipers w/Heated Wiper Park, Valet Function, Trip Computer, Transmission: Electronic 5-Speed Automatic w/OD, Transmission w/Driver Selectable Mode, Sequential Shift Control and Oil Cooler, Tires: P265/70R17 Mud & Snow, Tailgate/Rear Door Lock Included w/Power Door Locks, Systems Monitor. 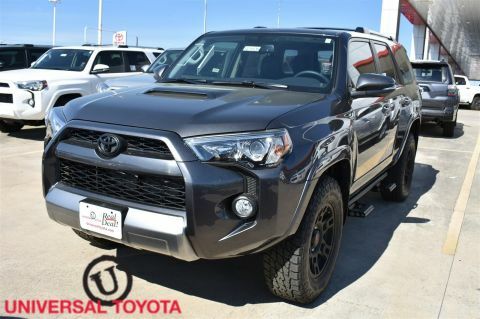 This Toyota 4Runner has a powerful Regular Unleaded V-6 4.0 L/241 engine powering this Automatic transmission. 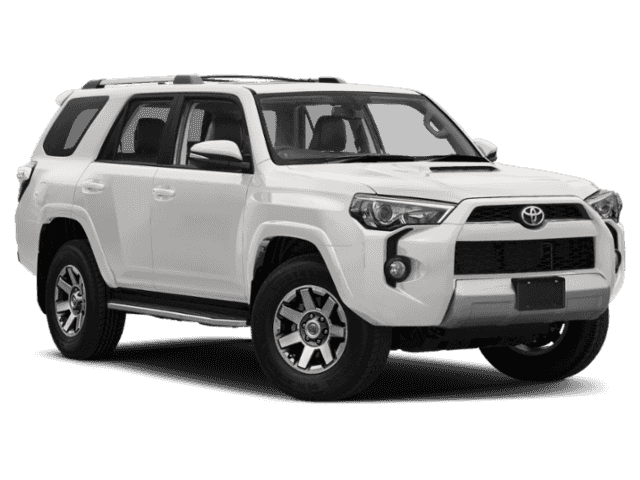 *These Packages Will Make Your Toyota 4Runner TRD Off Road Premium The Envy of Your Friends *Steel Spare Wheel, Splash Guards, Softex Synthetic Leather Seat Trim, Single Stainless Steel Exhaust, Side Impact Beams, Seats w/Leatherette Back Material, Safety Connect Emergency Sos, Remote Keyless Entry w/Integrated Key Transmitter, 4 Door Curb/Courtesy, Illuminated Entry, Illuminated Ignition Switch and Panic Button, Rear Cupholder, Rear Child Safety Locks, Radio: Entune Premium Audio w/Navigation -inc: Entune Multimedia bundle (6.1 high resolution touch-screen w/split screen display, AM/FM CD player w/MP3/WMA playback capability, 8 speakers, auxiliary audio jack, USB 2.0 port w/iPod connectivity and control, advanced voice recognition, hands-free phone capability, phone book access and music streaming via Bluetooth wireless technology), Siri Eyes Free, Entune AppSuite, HD Radio, HD Radio predictive traffic and Doppler weather overlay, AM/FM cache radio, SiriusXM satellite radio w/3-month complimentary all access trial, Gracenote album cover art and integrated backup camera display w/projected path, Entune App Suite includes Destination Search, iHeartRadio, MovieTickets.com, OpenTable, Pandora, Facebook Places, Yelp and Slacker Radio; real-time info including traffic, weather, fuel prices, sports and stocks Access to Entune services is subscription free. 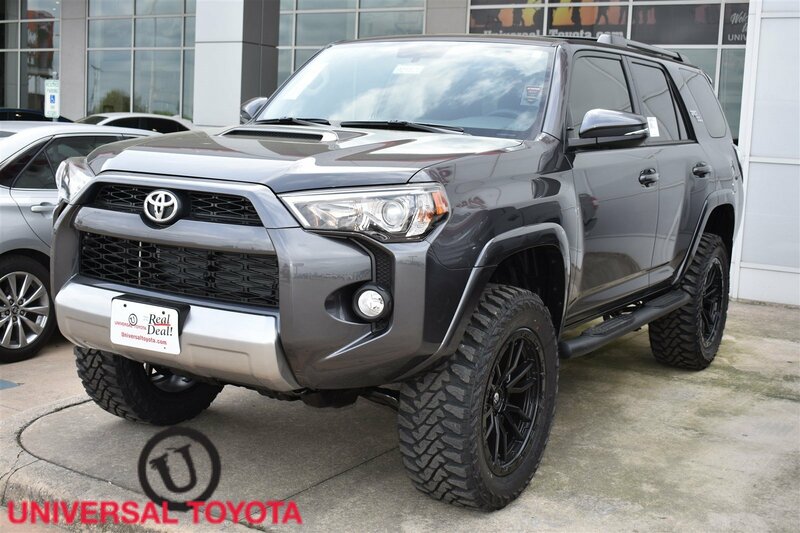 See toyota.com/entune for details., Radio w/Seek-Scan, Clock and Steering Wheel Controls, Power Side Mirrors w/Manual Folding and Turn Signal Indicator, Power Rear Windows and Fixed 3rd Row Windows, Power Rear Window w/Fixed Interval Wiper and Defroster, Power Door Locks w/Autolock Feature, Power 1st Row Windows w/Front And Rear 1-Touch Up/Down, Perimeter/Approach Lights, Perimeter Alarm, Part And Full-Time Four-Wheel Drive. 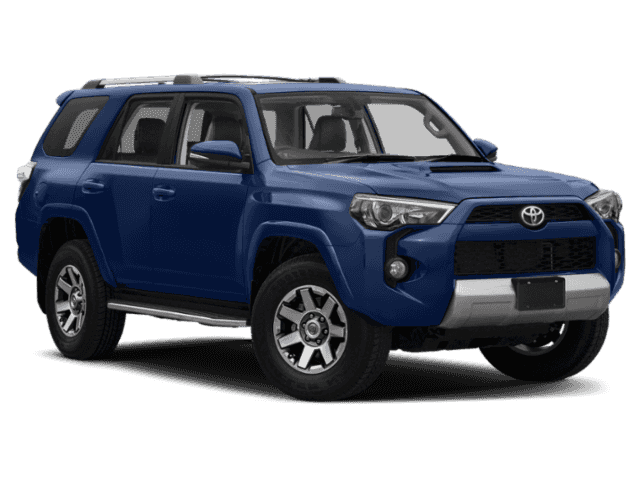 * Stop By Today *For a must-own Toyota 4Runner come see us at Red McCombs Universal Toyota, 12102 IH 35 North, San Antonio, TX 78233. Just minutes away!